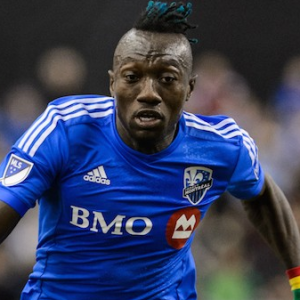 Dominic Oduro (13 August 1985) is a striker who currently plays for Montreal Impact in Major League Soccer and the Ghana national football team. Dominic Oduro was selected in the second round (22nd overall) of the 2006 MLS SuperDraft by FC Dallas. He made his first team debut on 28 June 2006, as a substitute for Kenny Cooper and scored his first MLS goal on 8 July 2006 against New York Red Bulls. 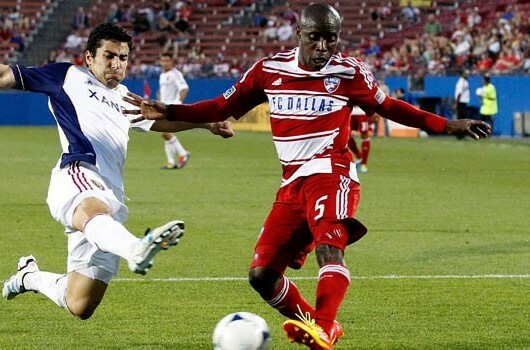 During his three-year stay in Dallas, Oduro impressed fans and coaches with his blazing speed and effort. He was primarily used as a second half substitute, to provide a spark to the clubs attack, and ultimately appeared in 70 league matches for FC Dallas, with his most productive season coming in 2008 in which he netted 5 goals in 25 matches. He was traded to New York Red Bulls on 12 January 2009, while Dave van den Bergh went in the other direction to FC Dallas. In the deal, New York also acquired the #11 and #18 picks in the 2009 MLS SuperDraft while Dallas acquired the No. 14 pick. 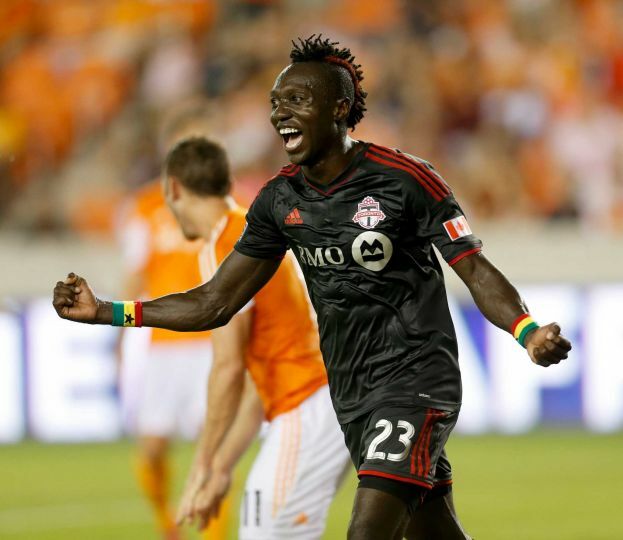 Less than five months later, New York traded Oduro to Houston Dynamo on 27 May 2009 for a first-round pick in the 2010 MLS SuperDraft and a second-round pick in the 2011 MLS SuperDraft. Oduro made his first start for theHouston Dynamo on 1 July 2009 against the USL-1 side Austin Aztex. The game was the third round of the Lamar Hunt US Open Cup. Houston won the match, played at Nelson Field in Austin, Texas, 2–0. Oduro stayed with Houston through the 2009 and 2010 MLS seasons. After the 2010 season, he decided to make a move overseas but was unsuccessful in securing a contract and re-signed with Houston on 2 March 2011. 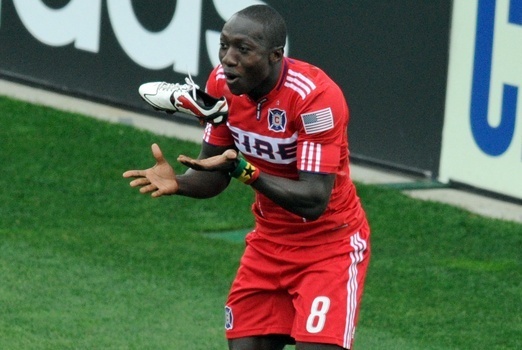 After missing a sitter in the opening game of the 2011 season, Oduro was traded to Chicago Fire in exchange for Calen Carr on 23 March 2011. Dominic performed wonderfully since joining the Chicago Fire. He scored 12 goals during the 2011 MLS season with the Fire. For his outstanding play in 2011 he was awarded the Supporters Player of the Year award by Section 8 Chicago, the supporters section of the Chicago Fire. 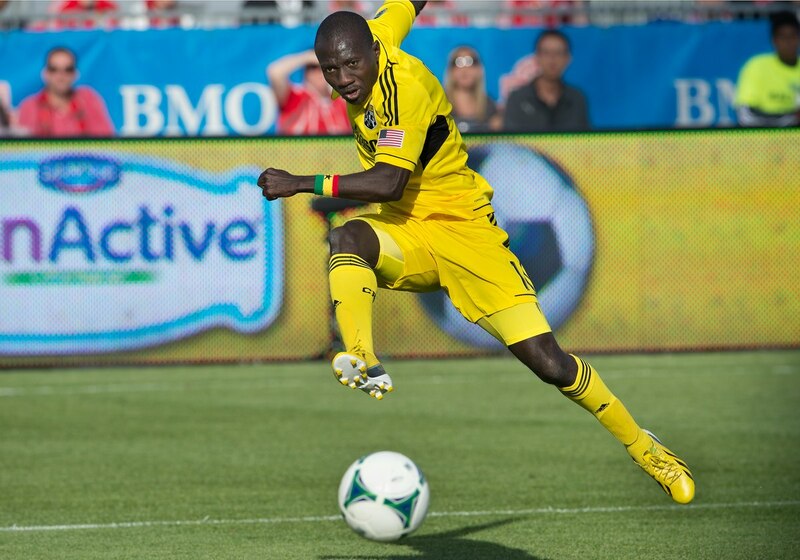 Dominic Oduro was traded to Columbus Crew on 1 February 2013 in exchange for Dilly Duka. On 26 February 2012, Dominic Oduro was called up to the Ghana squad to face Chile. 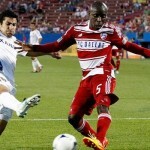 Oduro made his Ghana debut against Chile on 29 February 2012 at the PPL Park in Chester, Pennsylvania. Richmond Kickers Future 13 (16) ?